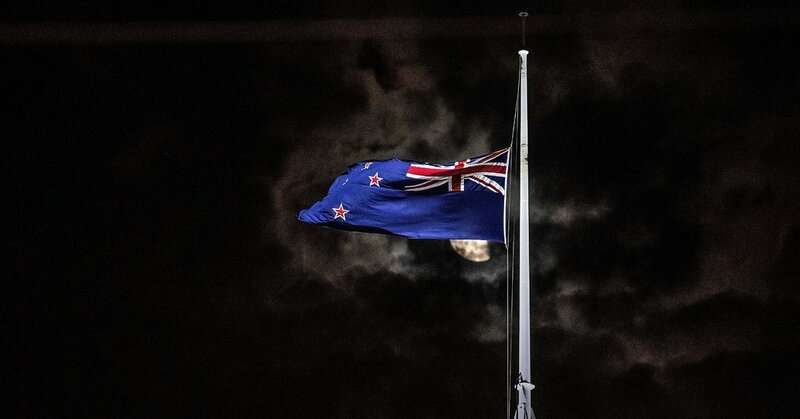 New Zealand may be thousands of miles from Europe or the United States, but videos of the killer show that he was deeply entrenched in the global far right, a man familiar with the iconography, in-jokes and shibboleths of different extremist groups from across Europe, Australia and North America, as well as a native of the extreme-right ecosystem online. Mr. Tarrant was charged on Saturday with murder in connection with the killings. The author was particularly influenced by the ideas and methods of Anders Breivik, the far-right Norwegian terrorist who murdered 77 people in 2011, and whose own rambling 1,518-page manifesto inspired several copycat extremists — including, according to the authorities, Christopher Hasson, the Coast Guard lieutenant facing federal charges for planning a domestic terrorist attack patterned after Breivik. His clothes and weapons were also carefully curated. He wore a patch with an emblem used by numerous neo-Nazi groups across the world, including in Australia. Scrawled on his rifle was a white nationalist credo popularized by the American domestic terrorist and neo-Nazi David Lane. On his flak jacket was a symbol commonly used by the Azov Battalion, a Ukrainian neo-Nazi paramilitary organization. And as he live-streamed a video from his car, he played a song devoted to Radovan Karadzic, a Bosnian Serb responsible for the deaths of thousands of Bosnian Muslims and Croats during an ethnic war in the Balkans in the 1990s. By Weiyi Cai | Source: Global Terrorism Database | Note: Includes attacks on Islamic centers and Muslim religious figures. On Friday, Mr. Trump called the New Zealand killings a “horrible disgraceful thing.” Asked by reporters if he saw white nationalism as a rising threat around the world, Mr. Trump said he did not. The primary goal of the manifesto’s author was to prevent Muslims and non-whites from taking over Western society, calling on white-majority countries to “crush immigration,” deport non-whites and have more children to stop the decline of white populations. These goals find echoes in the angry rhetoric of several mainstream politicians in Europe, including the Italian interior minister, Matteo Salvini, and Viktor Orban, the prime minister of Hungary. Mr. Orban has condemned the concept of a multiethnic society, repeatedly presented himself as a defender of Christian Europe against perceived Islamic invaders, and implemented policies that encourage Hungarian mothers to have more children. On Friday, just hours after the Christchurch shooting, Mr. Orban returned to these themes in a major speech in which he made no mention of the massacre in New Zealand. Though its membership is currently under debate, Mr. Orban’s party is part of a Europe-wide alliance of nominally center-right political parties, whose members include Chancellor Angela Merkel of Germany and President Jean-Claude Juncker of the European Commission. The killer’s ability to livestream the attack via his own social media channels — which led to the dissemination of the video and manifesto across YouTube, Facebook and several mainstream media outlets — also highlights how the far-right has harnessed the reach of major media and technology companies, even as it continues to spread its message through the dark corners of obscure internet sites. “It’s clearly made for media coverage,” Dr. Bjørgo said.